An interview with Coverings 2017 Rock Star, George Bellerose, from Granite & Marble Works, Inc. I have been in the stone industry for 13 years. Prior to that, I spent several years in the kitchen and bath remodeling business. 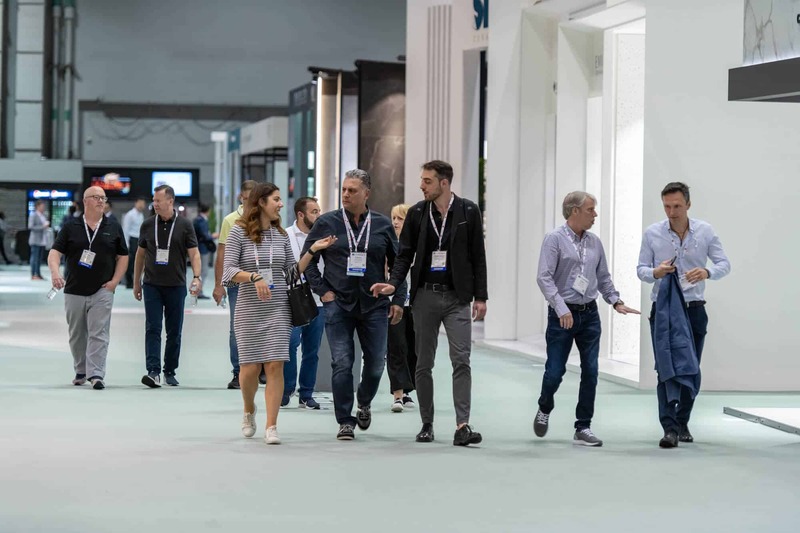 How many years have you attended Coverings? 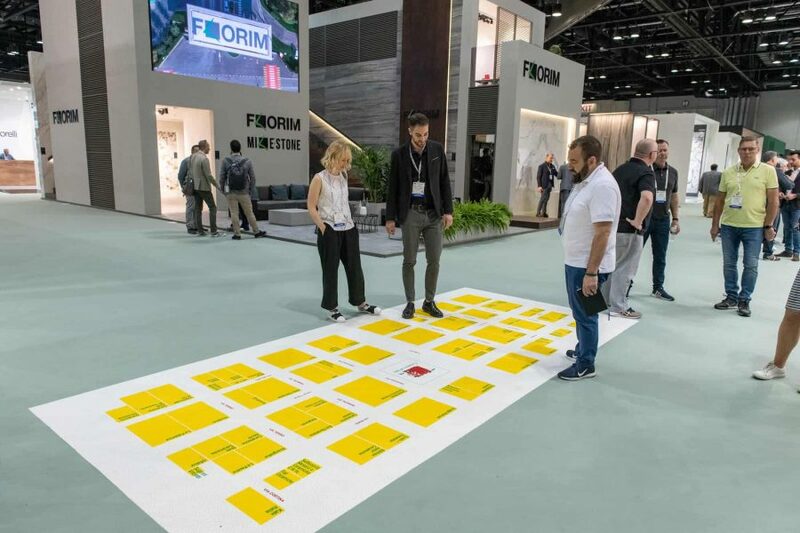 What do industry professionals gain from attending Coverings? What is your fondest memory of attending Coverings? The 2017 show was my first Coverings experience. It opened my eyes to the enormity of our industry and it gave me an opportunity to see and demo tools that I didn’t even know existed. 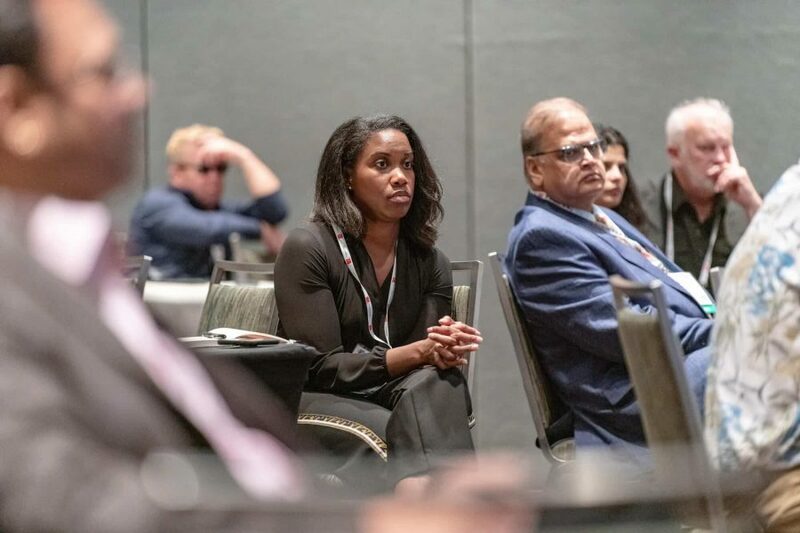 I brought home ideas and techniques that we were able to implement immediately and enjoy greater efficiencies. Besides being honored with the Rock Star award, my fondest memory was the initial thrill of walking into the Orange County Convention Center and being amazed at the size of this event. What does being a Rock Star mean to you? How has it influenced your work with tile & stone and in the community? Being named a Rock Star was quite an honor for me. 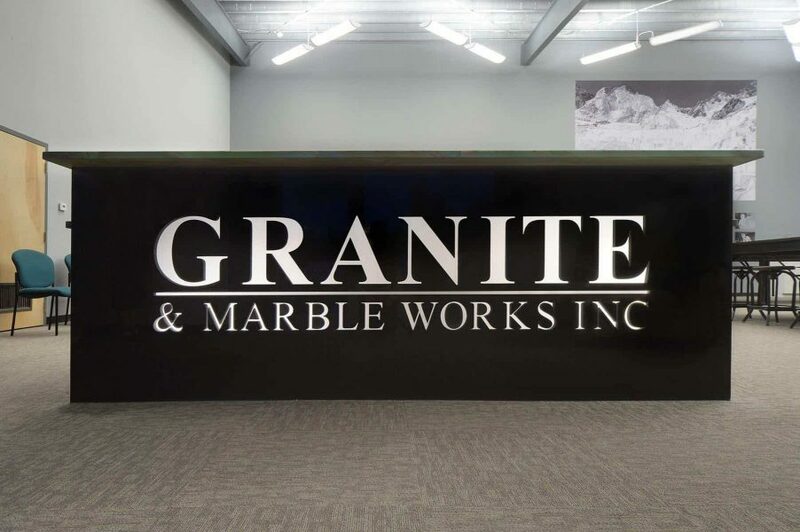 It was validation for all of the hard work that I’ve invested into Granite & Marble Works, customers, colleagues, and my own personal development. It has energized me to elevate my game even further. It has also made me a more credible leader in the industry. Creating the reception desk in our new showroom was one of my favorite projects to date. Our owner, Mike Roohan, and I wanted to design a reception area that was functional, yet welcoming and attractive to visitors. It needed to be a reflection of our company culture and ideals – professional, leading-edge, creative, and focused on quality. We also wanted it to blend effortlessly with the rest of our décor and, at the same time, to be a focal piece in our showroom. A combination of style and usage were the basis of our plan, yielding a two-level design with seating for two employees. In keeping with our industrial aesthetic and company color scheme, the sides of the desk were constructed of San Gabriel Black granite, while the work surfaces were built from vibrant Botanic Green quartzite. Using our BACA Systems Robo SawJet, our logo was precision-cut into the front panel and back-lit for a dramatic effect. It was a lot of fun to see it all come together. What is one tip you would give to younger professionals looking to work up to a Rock Star? Always raise the bar for yourself and set an example for others to do the same. Don’t get caught up in the mundane activities of your average workday. Instead, constantly look for ways to add value.